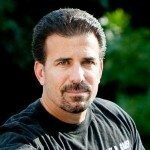 Can My Motorcycle Attorney Settle My Case Without My Consent? You are here: Home / motorcycle accident lawsuit / Can My Motorcycle Attorney Settle My Case Without My Consent? This is rare, but it can happen. If you have signed an agreement with your injury attorney stipulating that they are allowed to do so, then they have authority to settle your case and sign the necessary paperwork to finalize your motorcycle accident settlement without your consent. As I said above, this is rare, and usually only done if you have been mentally incapacitated and have given someone else power of attorney over your decisions. Other than in the situation mentioned above, at no time will I settle your motorcycle accident case without your consent. When I present you with the offer that has been made I will also give my opinion as to whether I think it is a lowball offer, or a fair and just offer, and together we will decide what is the best course of action. Remember, this is your claim so ultimately you, not the attorney, have the final say when it comes to settling your case. Just a few words here about motorcycle accident settlements: Settlements in motorcycle injury cases are determined by taking into account your out of pocket expenses, wage loss, medical bills and your pain and suffering. The idea is to get more than what the insurance company wants to give. Will you get fully reimbursed for your expenses, or partially reimbursed? Usually it is somewhere in between. Another aspect to this question of whether your attorney can settle your claim without your consent is that some nefarious injury attorneys have tried to settle cases without even discussing it with clients. Please realize that these are con artists with a law degree. Period. These are lawyers who probably feel that their clients take up too much of their time and consciously make the decision to dupe their client i order to get fast money for themselves. It is a selfish decision that serves the injury attorney way more than the client. Prevention is key to avoiding this situation. 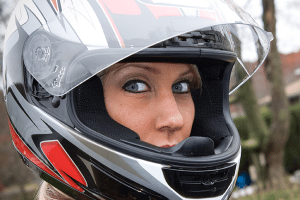 When hiring a Pennsylvania motorcycle accident lawyer, keep your wits about you and actually speak with your lawyer, judging their character as you talk to them. Your gut will tell you if you are dealing with the kind of personal injury lawyer that would pull something like that. The good news is, signatures are required to accept final settlements, so ultimately, if an accident attorney tries to settle your suit, you have recourse as long as you don’t sign off on the deal. If you don’t understand a document that is placed before you for signature, always ask for clarification – never sign documents without reading and understanding them. Lastly, you can report your attorney to the state Bar Association if you feel you are being manipulated. At my Pennsylvania motorcycle accident law firm, I believe in ‘partnering’ with my clients and making sure they are not only educated at every step in the settlement process, but aware of ramifications. You and I together are part of every decision, and you have the final say. 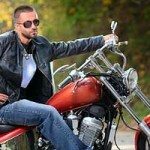 If you want an experienced and honest Pennsylvania motorcycle accident attorney handling your claim, give me a call, Lee D. Gaber, Esquire, at 888-292-5352 (888-CYCLE-LAW). I have many, many references from satisfied clients that I am more than happy to provide for you in this important decision of who to hire to handle your claim.